Youthful blogger Tatenda Magetsi has won the 2019 Blog4Dev competition in Zimbabwe. Blog4Dev is a competition run by the World Bank and invites young people to write a blog to share their views and solutions to challenges facing Africa's development. 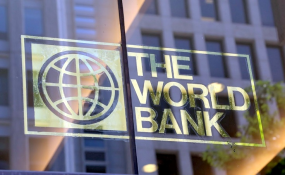 The 2019 Blog4Dev competition was launched by the World Bank Group on October 17 last year as part of the Youth Engagement Initiative on the annual International Day for the Eradication of Poverty (End Poverty Day) and the first time the competition was run in Africa. Young people aged between 18-28 years were asked, "What will it take to enhance the skills needed to prepare Africa's youth for the digital economy and the future of work?" The competition closed on November 30 and attracted 50 entries. The entries were reviewed by a panel of judges and the top two bloggers were interviewed to assess each candidate's ability to present and defend their ideas. As the top blogger, Tatenda won an all-expenses paid trip to attend the 2019 Spring Meetings of the World Bank and the IMF in Washington DC that started yesterday and he will be with other winners from across Africa to further debate and exchange ideas on how to accelerate Africa's development using the digital economy.